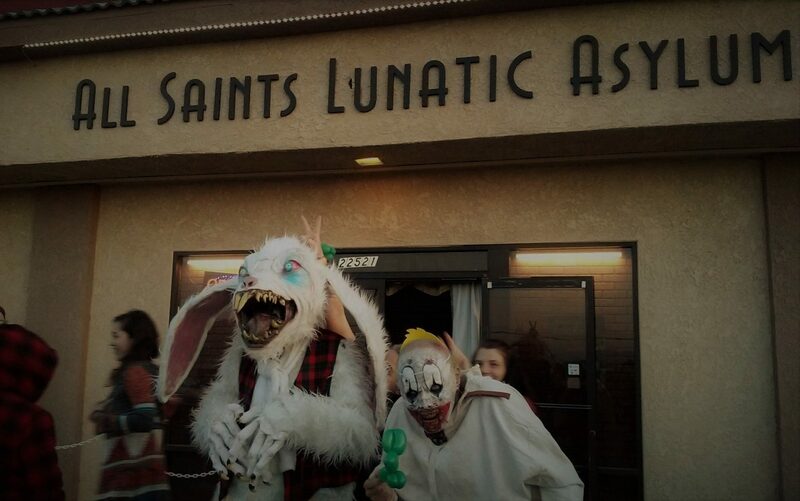 Description: Santa Monica's premiere yard haunt - one of the best Halloween events in Los Angeles, amateur or professional - returns for another season of subtle, spooky shivers. 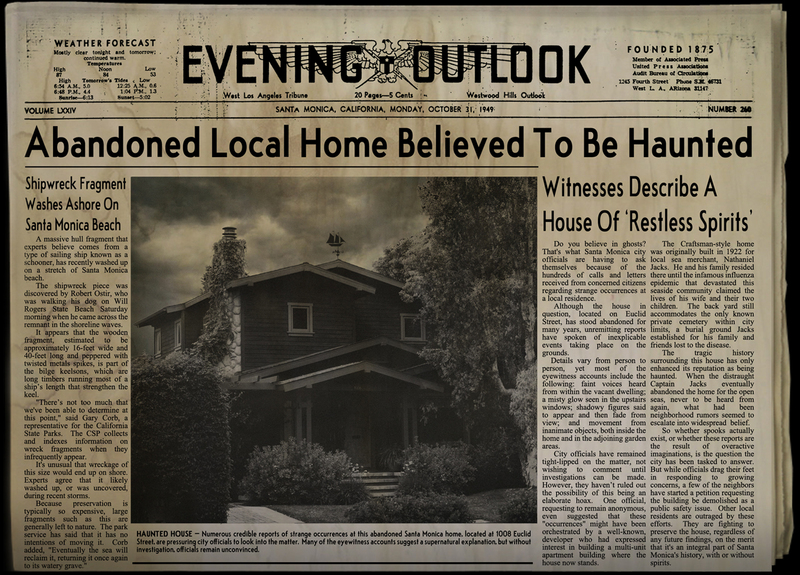 For Halloween 2012, the House of Restless Spirits will materialize on two nights: Saturday, October 27 and Wednesday, October 31, from 7pm to 11pm both evenings. The back story of the House of Restless Spirits involves a ship's captain, who buried his family in the backyard cemetery during an influenza epidemic decades ago, then took his ship out to sea one last time - never to return. This history is slyly suggested in the accompanying newspaper - not only in the top story but also in the apparently irrelevant sidebar quoting "a representative for the California State Parks" by the name of Gary Corb about a shipwreck fragment found on a nearby beach. Guests are admitted in small groups at discrete intervals, to give everyone a chance to savor the ethereal effects in turn. Children under 13 must be accompanied by an adult.